Lady Glenbervie, née Catherine Anne North. 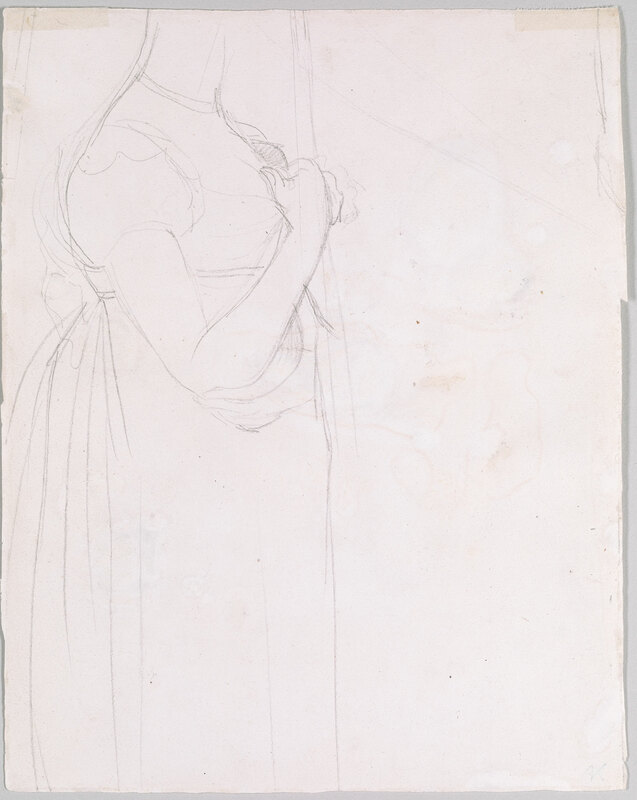 Verso: fragment showing a standing woman turned to the right. Bequest of Mrs. Jacob M. Kaplan. 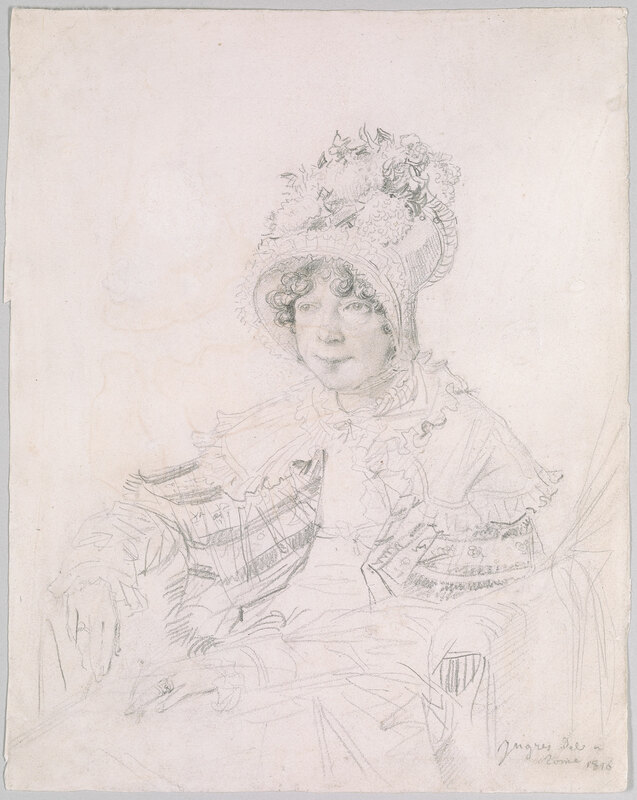 Signed and dated in pencil at lower right, "Ingres Del a / Rome / 1816". The sitter's family until 1964; Mrs. Jacob M. Kaplan, New York. This drawing and its pendant, a portrait of Lord Glenbervie (1998.20), belong to a series of portraits executed by Ingres in Rome between 1806 and 1820.